A new government energy strategy plans to give consumers more control over energy use in the home. The report, Upgrading Our Energy System, was issued by BEIS (Department for Business, Energy & Industrial Strategy) on 24 July 2017. It promises changes to the way Ofgem and electricity suppliers are managed, allowing better use of energy storage and smart technologies. Whilst some of the planned actions are aimed at improving the overall electricity grid and the way it copes with renewable generation and electricity storage, others are aimed at rewarding consumers for more flexible energy use. Repeating the call for all homes to be offered smart meters by 2020, allowing new services to be offered to consumers. tariffs reduce peak demand and enable most consumers to save money. The development of smart appliances which switch on at times of low cost electricity and switch off or reduce consumption at peak times to reduce overall demand. Introducing regulations to require electric vehicle charge-points to be smart enabled and allowing consumers to sell some of the electricity in their electric car batteries at a profit. These changes will bring benefits to consumers and to the electricity grid. In the future homes may well buy cheap rate electricity to store in batteries either for use at peak hours or to sell back to the grid for a profit. A dishwasher could automatically turn on at the time in the day when electricity is at its cheapest and your phone could choose the cheapest time to charge itself. 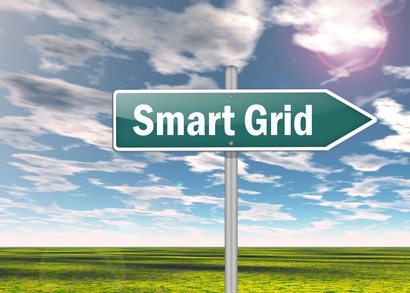 Having a flexible grid means that the grid system can respond to peaks in demand by using price signals to either reduce demand or increase supply. Read the Upgrading Our Energy System report.